We live in a dynamic economic and commerical world, surrounded by objects of remarkable complexity and power. In many industries, changes in products and technologies have brought with them new kinds of firms and forms of organization. We are discovering news ways of structuring work, of bringing buyers and sellers together, and of creating and using market information. Although our fast-moving economy often seems to be outside of our influence or control, human beings create the things that create the market forces. 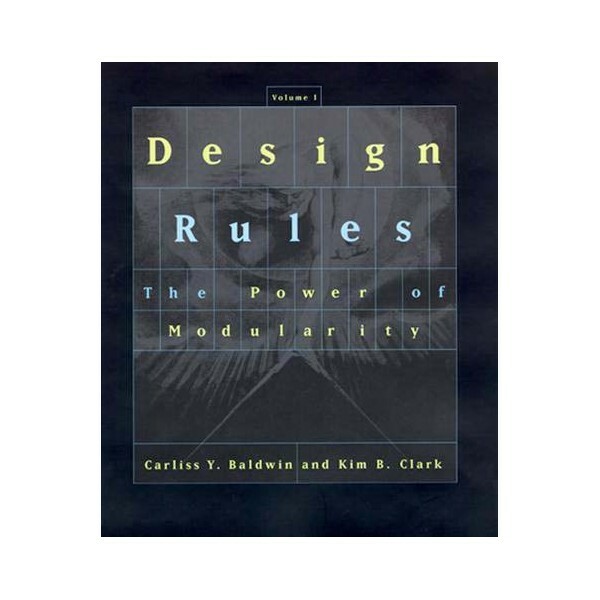 Devices, software programs, production processes, contracts, firms, and markets are all the fruit of purposeful action: they are designed.Using the computer industry as an example, Carliss Y. Baldwin and Kim B. Clark develop a powerful theory of design and industrial evolution. They argue that the industry has experienced previously unimaginable levels of innovation and growth because it embraced the concept of modularity, building complex products from smaller subsystems that can be designed independently yet function together as a whole. 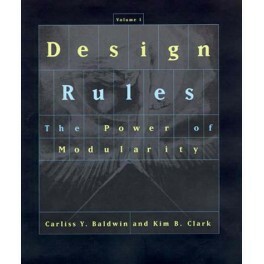 Modularity freed designers to experiment with different approaches, as long as they obeyed the established design rules. Drawing upon the literatures of industrial organization, real options, and computer architecture, the authors provide insight into the forces of change that drive today's economy.